Agencies whose reputation was built on big, populist campaigns, found the pain barrier hard to overcome. None more so than JWT, which last year continued the cathartic process of transformation from an operation that seemed old-fashioned into something modern and relevant. For Alison Burns, who replaced Simon Bolton as the chief executive at the beginning of 2006, the challenge is to ensure the agency does not sacrifice its soul without any clear or enduring advantages. The only obvious lesson to emerge is that things were destined to get worse before they got better. Nevertheless, the experience of Ogilvy & Mather, JWT's WPP stablemate, in 2006 suggests reinvention does not have to be all pain and no gain. Like JWT, O&M was cast in the classic mould, producing indifferent creative work for internationally aligned clients. Last year, however, Ogilvy Group began to see a palpable return on greater investment within the flagship agency's (Ogilvy Advertising) creative department. Also successful was its wider plan to bring the full power of the group (more than 1,270 people, covering eight disciplines) and their multiplicity of skills to bear on producing seamless solutions for clients. Some onlookers see a direct link between a more broadly based and effective Ogilvy UK Group and the fact that Gary Leih, the group chairman, honed his skills in the southern hemisphere, where more modest advertising budgets compel agencies to offer integrated solutions. The group acknowledges that much remains to be done. 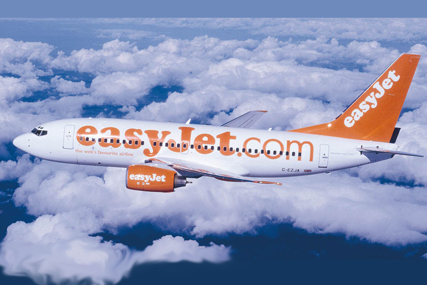 But last year's arrival of easyJet, the £14.5 million Avis account for Europe, the Middle East and Africa and the £36 million pan-European assignment for the fruit producer Chiquita suggest the integrated offering will pay dividends. Irrespective of their shape or size, agencies seemed to spend last year either trying to make their integrated offerings credible or discussing how to steal a march over entrenched rivals in terms of digital capabilities. Engine, the integrated communications company born out of a newly independent WCRS, set about a voracious acquisition programme, leading some analysts to voice concerns about its highly geared balance sheet. There was similar bullishness at the newly merged DraftFCB operation, which predicted that its IPG-arranged midsummer marriage would successfully fuse above- and below-the-line disciplines into a genuine, integrated and media-neutral offering. Given the less than scintillating performances of both the FCB and Draft operations in the UK over recent years, this claim may turn out to have been either prescient, or reckless in the extreme. What is beyond doubt is that both parties are now relishing the chance to free themselves of structures that have been shaped by their respective histories. Others, too, have welcomed the opportunity of a break with the past to create something more in keeping with the times. That was certainly true at Hurrell and Dawson, the UK's only significant start-up of 2006. Despite their mainstream backgrounds, the founding partners, Nick Hurrell and Neil Dawson, chose to hire Shaun McIlrath, a long-time proponent of creative integration, as their creative director. "If you think about the challenges facing today's clients, you wouldn't start an agency that just offered conventional ad solutions," Dawson explained, echoing a widespread view. Elsewhere, the problems of adapting to changing media landscapes and evolving client demands were compounded by other organisational issues for some agencies. At DDB London, hit by senior management and client defections, the responsibility has fallen to Stephen Woodford, named as the new chief executive last July, to provide vision and inspiration at an agency seen as not having kept pace with the times. At Lowe London, the agency's fortunes are linked closely with the success of Steve Gatfield, the IPG high-flyer named the Lowe Worldwide chief executive last March, in reforming the group's problem child. Under constant threat of being merged or closed, a Gatfield-controlled Lowe spent last year paring down its network in an attempt to mirror the trend for clients to consolidate their activities in fewer places across the world. The problem is Lowe is entering the micro-network territory colonised by the likes of Bartle Bogle Hegarty, Fallon and Wieden & Kennedy. Be that as it may, Gatfield represents Lowe's best and, perhaps, final hope. As he goes about trying to establish Lowe's place in the new world-marcoms order, Gatfield will doubtless heed the lesson of WPP's United group of agencies. Originally touted as WPP's fourth global network (and potentially its most creative), United last year showed conclusively what happens when you make up your raison d'être as you go along. The London agency's loss of the £75 million Sky account seemed only to emphasise the shortcomings of a disparate alliance that never really articulated what it stood for, or what added value it provided for clients. Amid so much angst, the only constant during 2006 was the unquestioned importance of great ideas. Indeed, if the events of last year proved anything, it is that the value of cut-through creativity will only be enhanced in the future.